Tom Kohler-Cadmore has become the latest promising Worcestershire youngster to sign a new contract. The 21-year-old batsman had 12 months remaining on his existing deal. Kohler-Cadmore, who celebrated his late-season recall with his maiden first-class century against Middlesex, has signed a two-year contract that will keep him at New Road until 2017. "I haven't scored the weight of runs I would have liked but I feel there is a lot more to come," he said. "It was massive to get that first century. The first one is probably the hardest one to get and once you've got one, you have the belief and the confidence that you are going to get a lot more." Director of cricket Steve Rhodes said: "Getting that hundred was a big relief to him and thoroughly deserved. "The areas we asked him to go away and learn in second-team cricket have certainly paid off and he is scoring good runs." Kohler-Cadmore lost his place in the County Championship side after struggling for early-season runs but made the most of his recall for the final two games in place of the injured Alex Gidman, hitting 257 runs. 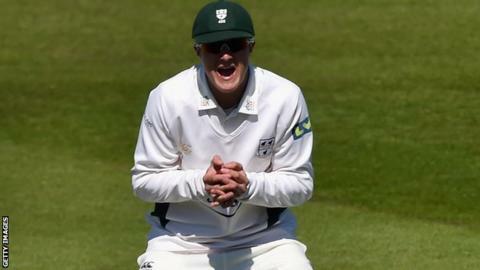 After an impressive 89 against Durham, he made a superb 130 not out to help Worcestershire beat second-placed Middlesex at New Road. In a succession of concluded contract talks over final two months of the campaign, Ross Whiteley has signed for another four years, while Brett D'Oliveira, Joe Leach, Tom Fell, Joe Clarke and Ed Barnard have all committed to New Road for three more years.